First released on a French EP by Vogue (EPL 8477) in 1966 and also in the UK by Pye (VRE 5019), Petula's composition is a parody of the popular James Bond film themes of the time. On record, Petula is accompanied by Tony Hatch and his Orchestra. The novelty recording also featured appropriate sound effects! On record, the song made the top 20 in the French hit parade. 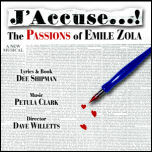 An additional unrecorded composition written in 2012 by Petula and Dee Shipman for their musical J'Accuse ...! The Passions of Emile Zola. In 2002, Petula recorded a new and more commercial version of All Through The Years for her UK chart album The Ultimate Collection issued by Sanctuary. In 2002, two new lyrics were written for Petula by lyricist Dee Shipman. Of the new version, Petula commented: "I wrote the music for a show called Someone Like You, an original story that takes place in West Virginia. I had a great feeling, great affection for this place - the mountains and the old coal mines - and this is set just after the American Civil War. All Through The Years is almost like a duet with another song. If you listen carefully, you can hear the melody of the title song Someone Like You, going on behind it. My dear friend Dee Shipman wrote the lyric". 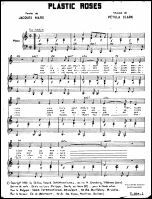 Seven different versions of this song were written and recorded as demos for the Petula Clark / Dee Shipman stage musical Someone Like You which enjoyed a successful tour of the UK in 1989 and a brief run at London's Strand Theatre (now The Novello Theatre) in 1990. The versions are Amen Coda, Amen II, Amen Credo, Amen - Which One Is Really Me?, Amen IV, Amen Catechism and / Amen - Into The Light. Amen was one of the first songs to be recorded for the musical project with the first recording session taking place at Redwood Studios, London on 26 June 1985 (pictured bottom left and centre). The Redan Recorders session recorded in London on 11 December 1987 produced polished demos including an ensemble cast performance of Amen together with full company performances of Into The Light, Get It Together and Home Is Where The Heart Is (session tape pictured below right). These sessions were funded by Bill Kenwright. The French language version of Time For Love, released on the Disques Vogue EP Mon Amour (EPL. 8423) in 1966. The EP peaked at number 12 in the French hit parade. 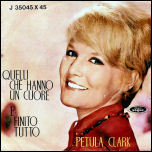 Amor is the Italian recording of For Love a song Petula composed both music and lyrics under the guise of Al Grant. Amor appeared on the 'B' side to the Italian version of The Song Of My Life - E' Una Canzone Cosi issued by Disques Vogue (VG 87.019). Recorded in Paris in 1970, Amor used the original backing track from 1967, orchestrated by Ernie Freeman. Written under Petula's writing pseudonym Al Grant, L'Amout Sennuie is the French reworking of Beautiful Sounds, adapted by Catherine Desage, that appeared on the French album C'est Le Refrain De Ma Vie (Vogue CLD 773). The orchestrations for this track were provided by Michel Colombier. The album was produced by Claude Wolff. 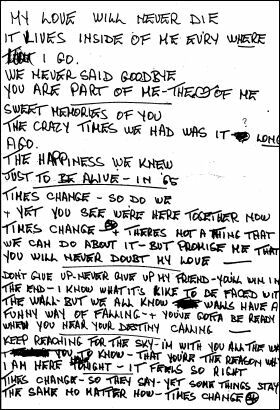 A song written by Petula and Dee Shipman for Dave Willetts' solo album On And Off Stage issued in the UK by Silva Screen in January 1990. The song was demo'd in 1989 (demo cassette pictured right) by Dave Willetts but never made it to the final album release. Lyricist Dee Shipman recalls: "I got the idea for this lyric when Petula and I were about to write a song for Dave Willetts. I wanted something with passion (which Dave sings particularly well), and a song on which he could use his 'big' voice as well as his 'little' voice! So I wanted to find a subject that had emotion and energy together; and although anger can be a destructive or negative emotion, it does have energy. I remembered a poem that had impressed me as a child, about not spoiling the world with anger and that inspired this lyric! Out of the mouths of babes and sucklings, indeed!!" A new composition and recording for the Collectors Choice album This Is Christmas released in November 2009. Produced and arranged by Joseph Baker and recorded in New York at Baker Boys Studio. One of 6 themes / incidental music from the 1964 French film A Couteaux Tires composed by Petula Clark with musical direction by Tony Hatch. The 6 themes were released on the French EP A Couteaux Tires issued in 1964 by Disques Vogue (EPL 8198). This and the other 5 themes have not been issued on CD although a DVD of the film is available on general release. 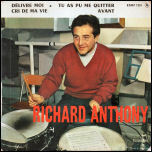 Richard Anthony was a French singer from Cairo who recorded Petula's composition Avant released in France in 1962 on the EP Delivre Moi by Columbia (ESRF 1351) Watch Video. Co-writer Claude Pitkowski also co-wrote two other songs with Petula; Darling Cheri and The Road. Avant, coupled with Anger is a rare example of Petula writing pop songs for other vocalists. 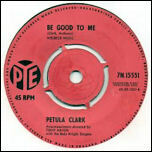 Be Good To Me was issued in 1963 as the 'B' side to the Pye single Let Me Tell You (7N. 15551). With words by Petula Clark and music by Tony Hatch under his writing pseudonym Mark Anthony, the single was produced by Tony Hatch as an attempt by PYE to re-launch Petula's UK pop career, however the single failed to trouble the charts. Be Good To Me was subsequently featured on the Downtown LP and various EPs. Big, Big Country was a song written for act two of the West End production of the musical Someone Like You. The song was written in early 1990 as a new addition to the score to develop the relationship between father and son. The song was performed on stage by Clive Carter (Kane) and Lewis Rae (Andy). In the production the song was also reprised in the act two. No demo or commercial recording exists of this song but an audience recorded version from the 1990 London production is held as part of the archive collection. 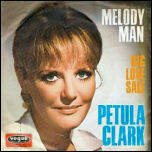 Written under Petula's writing pseudonym Al Grant Big Love Sale appeared as the 'B' side to the 1970 international hit single Melody Man. The single performed extremely well in Australia where it peaked at #16 in the charts in October 1970. 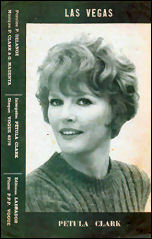 A theme from the 1964 French film A Couteaux Tires that featured a score by Petula Clark with music direction by Tony Hatch.The 6 themes were released on the French EP A Couteaux Tires issued in 1964 on Vogue (EPL 8198). This and the other 5 themes have not been issued on CD although a DVD of the film is available on general release. The title song for Petula's unreleased 1975 album for ABC Dunhill. The country / easy listening album was produced by Chips Moman. Recorded in Nashville 1975 for the intended 1976 album Blue Lady scheduled to be released by ABC Dunhill - ABC Dunhill even assigned a catalogue number for the 1976 release (ABC 949). The album was never released due to creative differences with the label. The song remained unreleased until 1995 when it was issued in the US by Varese Sarabande on the Varese Vintage label (VSD-5610). 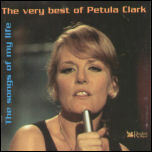 The song was later used as the title for a 2006 retrospective documentary on Petula made by the BBC. Butterfly In The Snow was one of a handful of new recordings for the specially produced Christmas compilation This Is Christmas released by Collectors Choice in the US for the 2009 holiday season. The song is a new composition written by Petula and arranged and produced by Joseph Baker at his studio in New York. Backing vocals are by Petula and Rozi Baker. Unlike Petula's other Christmas recordings, this song is more contemporary and upbeat. 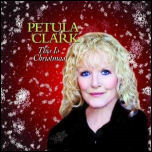 First released in the US in 2009 on Petula Clark - This Is Christmas (Collectors Choice Music CCM-2083). 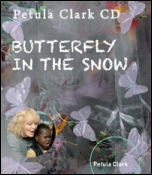 Butterfly In The Snow was later issued as a CD single in support of The Art Therapie Foundation with all proceeds from the sale of the CD to the foundation (www.arttherapie.org). The CD single includes a radio edit version of Butterfly In The Snow coming in at 3:52. 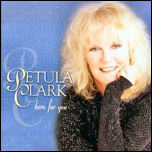 Petula dedicates the song to severely ill children. The touching song encourages, awakens and strengthens positive feelings. 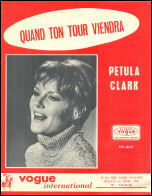 Recorded in Paris on 16 November 1964 - Cantando Al Caminar was one of four titles Petula recorded in Spanish for an EP release by Vogue Spain (HV 27-126). 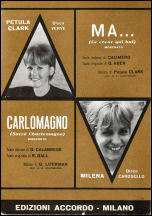 Cantando Al Caminar was a Spanish language adaptation of Petula's 1962 'twist' composition The Road which had become extremely popular in France as Je Chante Doucement. 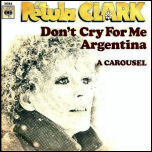 A Carousel was a brand new song recorded in 1977 and issued as the 'B' side to Petula's European single version of Don't Cry For Me Argentina for CBS Records. The song was co-written with Guy Matteoni who orchestrated much of Petula's French material recorded for CBS. 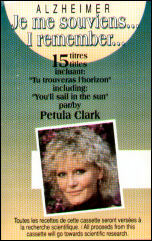 First recorded in French as C'est Grand La Solitude with lyrics by Michel Hernandez, Petula wrote an English language lyric which was subsequently recorded and released. The English language version was released as a single in Yugoslavia, Italy, Spain, The Netherlands, Turkey, Germany, French, Portugal and Canada. In the mid 1990s Petula began developing a new autobiographical one-woman show, working with lyricist Dee Shipman, Petula adapted an earlier song Three Time Loser which had been discarded from the Someone Like You musical project. 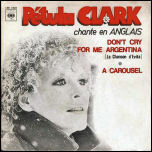 The first version of Celebrate was completed in 1994, however Petula continued to work on the song, adding her own French lyric. The final version was first performed on 28 October 2000, at the St. Denis Theatre, Montreal. 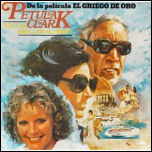 The song was later reprised during Petula's concerts at the Virginia Arts Festival in 2001 which was subsequently released on CD in the US by Varese Sarabande. 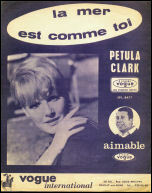 French adaptation of Petula's composition Your Way Of Life and featured on the 1966 Vogue EP La Mer Est Comme Toi (EPL. 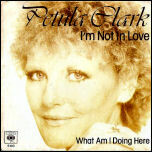 8477) which featured three other Petula Clark compositions (pictured right). 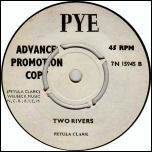 The EP was also released in the UK by Pye Records (VRE 5019). Pierre Delanoe's French adaptation of the Clark / Hatch composition Hold On To What You've Got and featured on the Vogue EP Un Mal Pour Un Bien (EPL. 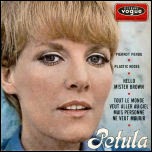 8386) and the Vogue LP Petula '66 (LD 692 30) also issued in the UK on Pye Records (VRL 3022) and in Canada on Vogue (VF-47021). Close Your Eyes was Petula's English version of the dramatic French ballad Ferme Les Yeux Et Pense A Moi but remained unreleased until 2000 when issued on the Castle Music compilation Beautiful Sounds - The Petula Clark Songbook. The French language adaptation of the Clark / Hatch rock track Heart. This version was included on the French chart EP Viens Avec Moi (EPL. 8342) and the Vogue compilation LP Petula '65 (LD 671 30) also issued in the UK on Pye Records (VRL 3010) and in Canada on Vogue (VF 47019). The original French version of On The Path Of Glory (although recorded some two years earlier) features a somewhat novelty arrangement when included on the Vogue EP La Gadoue (EPL. 8410) released in France in March 1966. 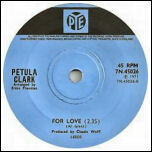 Colours Of Love is one of a handful of 'pop' songs Petula collaborated on with Dee Shipman for various album and single projects. The track was arranged by Cees Stolk. This bright composition was recorded in 1987 in Hilversum, Holland for Petula's European album This Is My Song Album also known as My Greatest. The album was produced by Dutch pop impresario Eddy Ouwens (pictured right) and had a distinct Euro-pop feel and recorded during November, December 1987 and January 1988. 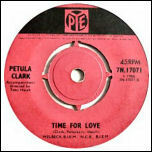 Colours Of Love was one of the session highlights and was later used as the opening track to the Petula Clark 2007 songwriter collection In Her Own Write issued by Sepia. Petula began writing with Grant Sturiale during the Broadway run of Blood Brothers, he later provided her with the song Here We Are which was used to open her 1998 concerts and recorded for the Here For You album released by Varese Sarabande. Sturiale wrote the melody for Come Along With Me with Petula contributing the lyrics. The song was originally recorded in New York in 2006 and produced by Joseph Baker. Come Along With Me was later performed at the Theatre Royal Drury Lane during Petula's concert with the BBC Concert Orchestra. Although recorded for a Friday Night Is Music Night special, the song was omitted from the broadcast. The original 2006 recording was later adapted with additional vocals and instrumentation was added and released on the 2008 UK chart album Then & Now released by UMTV. Come On Home became the title track of Petula's second album for Polydor Records (2383 279) issued in the UK in 1974. The album was also issued in Japan on Polydor (MP 2398) and pictured right. The track was recorded in Las Vegas during early 1974 with Petula's then musical director Frank Owens and produced by Tony Scotti. Like most Scotti produced tracks, Come On Home fit into the country, middle of the road genre. Oddly, the original 1974 recording was later utilised as the 'B' side to the 1989 remix of I Couldn't Live Without Your Love issued by Legacy Records. The label anticipated healthy sales after the surprise success of Downtown '88, however the new lacklustre mix coupled with a remix of Call Me (issued only on the CD single of the PRT Legacy release) failed to trouble the UK charts. Vito Pallavicini adapted the majority of Petula's material into Italian including this version of Where Am I Going. 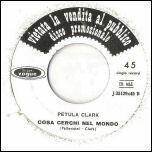 Cosa Cerchi Nel Mondo was released as the 'B' side to the enormously successful Cara Felicita (the Italian version of This Is My Song) issued by Vogue (J35129) which topped the Italian charts in April 1967. The Credo was one of the most dramatic pieces that was written by Petula and Dee Shipman for their musical Someone Like You and performed in act two of the production by the characters Abigail, Serena and Susannah. The song was originally demo'd in 1987 at the Redan Recorders Studios in London as part of the Get It Together sequence. When the show was staged, The Credo became a stand alone song in act two performed by the female leads Abigail (Petula Clark), Serena (Joanne Campbell) and Susannah (Jane Arden). 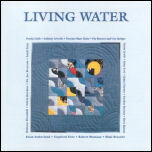 Petula wrote the lyric for Cross The Border for the German charity album Living Water, a project conceived by Siegfried Fietz to raise funds for causes in Africa. Petula is accompanied by the Toronto Mass Choir under the direction of Dan Cutrona. 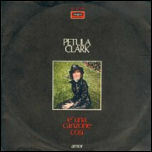 The track was later included on the Petula Clark songwriting retrospective collection In Her Own Write issued in 2007 by Sepia Records. An album track recorded during the sessions for the My Love LP in 1965.The song was co-written and orchestrated by Tony Hatch. The album was released in 1966 in the UK on PYE (NPL 18141), in the US and Canda on Warner Bros. (WS 1630) and in France on Disques Vogue (LD 689 30). Hubert Ballay's French adaptation of Dance With Me, subsequently issued in France on the Disques Vogue EP Il Faut Revenir (EPL. 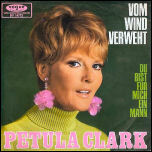 8379) and on the 1966 French LP Petula Clark issued by Disques Vogue (LD 692 30). After Petula left Vogue France she began recording material for the French independent label Disc'AZ and released the eponymous album Petula in 1973. 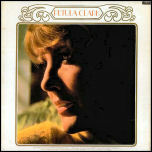 Disc'AZ lifted several songs from the album as singles including Une Carte D'Amitie (SG 461) which featured the Petula composition Dans La Ville on the 'B' side. 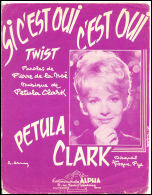 A 'twist' themed composition that is featured on the 1962 French LP Petula, featuring orchestrations by Peter Knight. The album was released in France on Disques Vogue (PC1) and in the UK on PYE (NPL 18098). The track was also featured on the chart topping EP Chariot issued by Disques Vogue in France (EPL. 8000). An early sixties collaboration between Petula and Tony Hatch under his writing psuedonym of Mark Anthony. 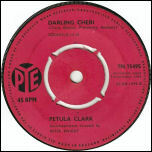 Recorded with the Peter Knight Orchestra and singers in 1962, Darling Cheri appeared as the 'B' side to the PYE single I Will Follow Him issued by PYE (7N 15495) in 1963. Also released as a single in the US, Italy, France and Denmark. In 1965 the song was adapted and recorded in German with lyrics by Kurt Hertha and appeared on the flip to the German version of Downtown (pictured right) issued by Vogue Schallplatten (DV 14297). 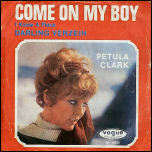 The German language version of Petula and Norman Newell's song Now That You've Gone, subsequently released as the flip to Come On My Boy, issued by issued by Vogue Schallplatten (DV 14345), the German adaptation of I Know A Place. The German version of You're The One and released as the 'B' side to Verzeih' Die Dummen Tranen, the German adaptation of My Love. Arranged by Tony Hatch. Issued on record in 1966 by Vogue Schallplatten ‎(DVS 14 489). 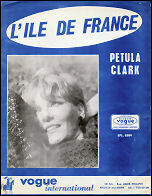 The French adaptation of the Clark / Hatch composition Gotta Tell The World - the up tempo pop song was featured on the Vogue LP Petula '65 issued in the UK in 1964 on Disques Vogue (VRL 3010) and distributed by PYE Records. Also issued in France in 1965 on Disques Vogue (LD 671 30), in Canada on Disques Vogue (VF 47019) and in 1972 in Australia on Summit Records (SRA 250.102). Donne Moi Des Fleurs was also included in Petula's performance repertoire of the time and was captured on the Live '65 album recorded at the Paris Olympia in April 1965 and issued for the first time some 35 years after it was recorded. Driven By Emotion was written in December 2004 and later recorded as a demo on 09 January 2005, in New York with arrangements by Joseph Baker. The initial demo for Driven By Emotion was given a smooth jazz orientated arrangement by Petula's then musical director Kenny Clayton who adapted the song for her British concert tour of 2005. The song replaced Memories Of Love in her stage repertoire and therefore required a suitably up-tempo and contemporary arrangement. Backing vocals for the click tracks were recorded by Petula and Melanie Stace in the final week of February 2005. The song was premiered during Petula's concert at the Cliffs Pavilion, Southend, on 07 March 2005. A new studio version of Driven By Emotion, with additional spoken lyrics was released on Petula's 2006 CD single Together, issued by Petula's own label Belle Tulipe (BT 0001) and sold exclusively online and at the Moon River Theatre gift shop in Branson, Missouri. This alternative studio version was produced by Petula and David Hadzis with arrangements by Kenny Clayton. The track was mixed and mastered by David Hadzis at Arthanor Studio, Geneva, Switzerland. Nearly three years after the original version of Gotta Tell The World was released, Petula recorded this adaptation in German. 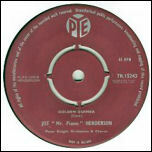 Recorded in 1968 using the original 1965 backing track, Du Bist Fur Mich Ein Mann appeared as the 'B' side to the German single Vom Wind Verweht issued by Vogue Schallplatten ‎(DV 14772). 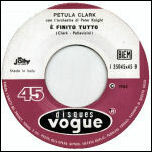 An Italian version of Petula's popular ballad Forgetting You, recorded in 1964 at London's PYE studios with backing by the Peter Knight Orchestra. The recording was produced by Ezio Leoni and was issued as the 'B' side to the Italian hit Quelli Che Hanno Un Cuore, (Disques Vogue J 35045) which peaked at #4 on the Italian singles chart. 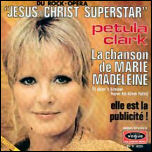 Petula composed the melody to this upbeat song which first appeared as the flip to the single La Chanson De Marie Madeleine issued in France by Disques Vogue ‎(V.45.4020). The lyric was co-written by Catherine Desage who is credited to several other Clark recordings from this period. The arrangement and musical direction for the recording is by Mike Stephenson. One of the most powerful and emotional songs from the score of Someone Like You that was performed by Petula's character Abigail in act one. 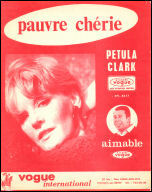 The original French version of Petula's composition Tell Me (That It's Love), recorded in 1963. The song was included as part of the Vogue EP Entre Nous, Il Est Fou (EPL 8162) and was featured on the Disques Vogue album Ceux Qui Ont Un Coeur (LD 623-30). An unreleased German version of Elle Est Fine La Belle Histoire / This Is Goodbye, finally issued on the 1998 International Collection by Bear Family. A collaboration between Petula and English folk rock singer Jon Allen whom she met in 2014 when hosting the vintage TV sessions for Vintage TV. A rare writing collaboration between Petula (credited as Al Grant) and the late Jackie Trent. 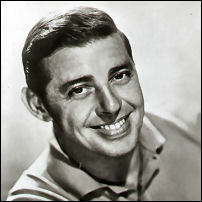 The melodic ballad appeared as the 'B' side to the international hit recording Don't Give Up with an arrangement by Johnny Harris. 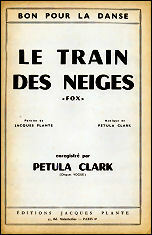 Written under Petula's writing pseudonym Al Grant, Ferme Les Yeux Et Pense A Moi is a dramatic melody written by Petula with French lyric by Veronique Muller. Muller was working for Petula as a secretary in the early seventies, she later found her own musical success and represented Switzerland in the Eurovision song contest. Ferme Les Yeux Et Pense A Moi was released on the 1972 LP La Chanson De Marie Madeleine issued by Disques Vogue in France (SLD 831) and in Canada (SLD 8005). One of the final songs to be written for the touring version of Someone Like You. The song was still being structured just days before opening night at the Cambridge Arts Theatre. 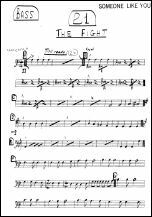 The Fight, arranged by Kenny Clayton, was a grand production number involving the complete cast at the end of act two. A recording exists of Kenny Clayton at piano working through the arrangement which is held as part of the archive collection. Another pre Downtown collaboration between Petula and Tony Hatch, released as the flip to the 1964 PYE single In Love released by PYE Records (7N.15639). Both tracks featured a slow jazzy arrangement. 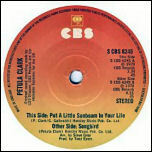 Written under Petula's writing pseudonym Al Grant and recorded for the 1968 LP The Other Man's Grass Is Always Greener, For Love (arranged by Ernie Freeman and produced for record by Claude Wolff) was later issued as a double tracked version to back the international single The Song Of My Life, released in 1971. 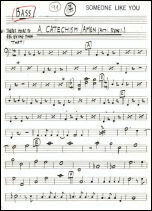 Petula wrote this up tempo melody with lyrics by Pierre Delanoe. 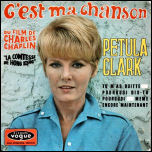 The 1968 recording (with accompaniment by Michel Colombier and his Orchestra) was issued as its own EP issued on Disques Vogue (EPL 8647) and on the 1969 LP Petula Clark (VRLS 3039). Dee Shipman recalls: "Petula and I had already been working on the show 'Someone Like You' for quite a while, when we talked about my passion for the life and work of the great controversial French novelist, Emile Zola. I felt the affinity with and resonance between Aznavour's writing and Zola's and I told Petula that one day, I wanted to write a musical about him. And as we went deeper into the subject, it seemed that she became nearly as enthused as I was, and then, at first gradually and then avidly, we were writing it! I would come up with a phrase, a line, and she instinctively started playing exactly the right music: sitting together at the piano, the songs just seemed to grow organically from us! And the ideas were flowing from me; the more I researched, the more I discovered, the more intimately connected to the man and his life I became! To the extent that I was having dreams in which we met, and he told me details of his life and feelings I'd found in no books anywhere! All of which eventually found their way into the songs. We were sitting high up on a steep hillside. Zola was very young, and I was inside his head; there was another, younger, boy with us. They were best friends. I woke early the next morning, and went downstairs to the breakfast room, and sat looking out of the patio doors to where the lawn sloped steeply away down the hill, seeming to be suspended in the sky. The dew was sparkling on each blade of grass; and in spite of the beauty of what I was seeing, I felt immense sadness, and regret - and the dream came back to me - and I knew that these emotions were not mine, but Zola's. And then the words came ..."
Get It Together was written as a large production number intended for the first act of Someone Like You. A demo version was recorded at the Redan Recorders Studio with Petula performing lead vocal and ensemble vocals provided by Debi Doss and Shirlie Roden. The upbeat melody then merges into what became The Women's Credo. The song, although omitted from the final stage production, bears the foundation for the ensemble piece Picking Up The Pieces that appeared in act one of the production. 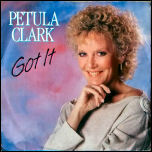 Petula intended to perform Get It Together live on her 1988 appearance of The Des O'Connor show. Written between the touring production and the opening of the London production of Someone Like You, Getting The Right Thing Wrong was a grand power ballad for Petula's character Abigail performed in the second act and later reprised by Petula's character Abigail. The CTS sessions produced four songs (Getting The Right Thing Wrong, Home Is Where The Heart Is, Someone Like You and I Am What You Need) which were recorded on the same day in a lengthy session that concluded at 1 AM. 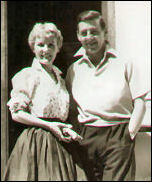 On Getting The Right Thing Wrong, Petula commented: "This is from a stage show set in Civil War America called Someone Like You, or as I affectionately call it: SLY; I wrote the music and the lyrics are by a dear friend named Dee Shipman, who has written words for a lot of songs by Charles Aznavour. I performed this in SLY; it comes at a moment when my character, Abigail, must face up to her independence." 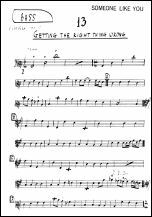 Getting The Right Thing Wrong was also covered by New York cabaret singer Moira Danis on her album Beautiful Sounds - The Songs of Petula Clark. 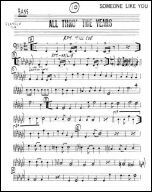 Give It A Try, was originally written by Petula's musical director Kenny Clayton with a working title of Face To Face (see original lyric sheet published by Dynamusic Limited to the right). In 2005, Petula's musical director Kenny Clayton recorded a piano solo version of Give It A Try for his album Kenny Clayton Plays Tribute To Petula Clark and Matt Monro (pictured right). In 2015, Kenny Clayton recorded an alternate version of Give It A Try for his album Hommage (pictured right) - this version, entitled Lullaby, is inspired by composers that have inspired Kenny. 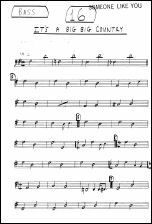 Petula's first published composition (Henderson Music Publishing Limited) was this instrumental melody from 1960. 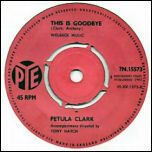 In 1959, Petula submitted a demo acetate to PYE Records of herself playing the melody on piano. PYE chose to utilise the piece as the theme to a new series of recordings released on their budget subsidiary label Golden Guinea launched in 1959 - records were marketed at the price of one Guinea. Got It was one of the lead tracks from Petula's 1988 This Is My Song Album produced by Euro-pop impresario Eddy Ouwens (pictured right). The track was also released as a single in its own right with an alternate opening. Petula contributed to writing the lyrics for this song. 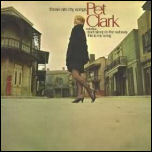 Gotta Tell The World is a standout Clark / Hatch beat track featured on the 1965 New Petula Clark Album (also known as I Know A Place). The song also appeared as the 'B' side to another Clark / Hatch collaboration; You're The One released in November 1965. An alternate lyric to the Someone Like You song Green Hill, West Virginia. Originally this Dee Shipman lyric was to be sung by Petula's character Abigail during act one of the production. 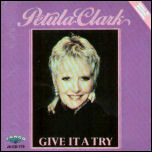 Petula recorded a demo of the song on 16 December 1985 at Snake Ranch Studios, London with a simple solo piano arrangement by Kenny Clayton. 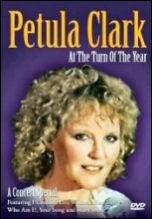 Petula first presented the song to the public at her concert in Chichester on 09 February 1986. In the original Clark / Shipman book Green Hills of Old England appeared in act one as Petula's character Abigail wanders into the yard and looks at the blackened landscape. Green Hills of Old England never made it into the touring or London productions of Someone Like You. Written in 1985, Green Hill, West Virginia was originally written as part of a complex 'Soliloquy' sequence, incorporating Empty Spaces. A demo was recorded to reflect this version at Snake Ranch Studios, London on 16 December 1985. Green Hill was a fictitious town created by Petula and Dee as the setting for their musical. Green Hill, West Virginia was later expanded and given new lyrics to be performed as a song and dance number by the characters Andy and Moonshine. During the transition between the 1989 touring version and 1990 West End production Green Hill, West Virginia was cut from the score. 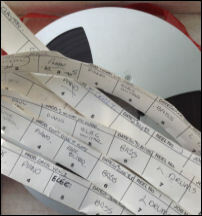 Several audience recorded versions from the touring production are held as part of the archive collection. Guess You've Got A Lot To Learn is an elaborate, lively song intended for the first act of Someone Like You and was written as a trio for Abigail, Serena and Andy to highlight and establish their distinct differences. The song was written for the original Clark / Shipman book and during the song, all three prepare a meal. After Abigail's line in the song: "Andy, set the table please", Andy takes crockery, cutlery, napkins etc, from the bags, puts them on the harmonium, having first taken the lace cloth out and pit it on the table. As the song progresses, Andy picks up the piece of cheese, wipes it on his sleeve and puts it on the table with the other things. Abigail and Andy then set the table; but at Serena's line "Starting here, starting now ..." Abigail, furious, steps towards Serena (who has been moving towards Abigail) as if to argue; - hence Andy's line "Please don't row". The song culminates in Abigail, Andy and Serena setting the table and dishing up grits and by the time Andy sings "Can we eat?" all three are immediately sitting around the table and on "Let's eat", the three of them immediately start their meal. 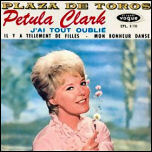 An album track recorded during the sessions for the French Petula album issued in 2012 by Sony BMG and co-written with Maxime Pinto and Maxime Lebidois. "It's a wonderful thing falling in love. There's a song I wrote called Happiness - being in love is that crazy, fantastic, warm feeling". One of the most highlighted works from the Clark / Hatch partnership was the R&B song Heart. 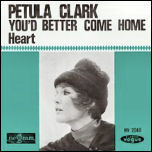 Recorded for The New Petula Clark Album, the song also featured as the 'B' side to the hit single You'd Better Come Home. Heart was memorably performed live on the popular Ed Sullivan Show in late 1965. Heart was covered by fellow PYE artist Joey Loren. The song was also picked up by DJ / producer the Outpsider and remixed in 2003. This remix, and the Outpsider's remix of Petula's Windmills Of Your Mind, remains unreleased. Another Petula Clark writing collaboration with Tony Hatch's wife Jackie Trent who wrote this touching lyric to accompany Petula's melody for (Softly) Here Comes The Morning (arranged by Johnny Harris and produced by Tony Hatch). 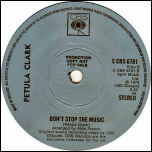 The song was issued as the 'B' side to what became one of Petula's biggest worldwide hit recordings; Don't Sleep In The Subway, released in 1967. Petula's passionate composition has touched many audiences since it was first performed in concert in Rhyl, North Wales in 1998. 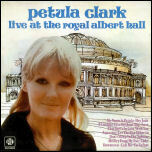 Since that concert, Petula has performed the song as her closing number for the majority of her live shows. A live version was issued by Varese Sarabande from Petula's concert in Norfolk, Virginia (as part of the Virginia Arts Festival) which was recorded for PBS. 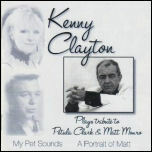 In 2005, Petula's musical director Kenny Clayton recorded a piano solo version of Here For You for his album Plays Tribute To ... and the song was also covered by New York cabaret singer Moira Danis on her album Beautiful Sounds - The Songs of Petula Clark. Another Clark / Delanoe / Hatch collaboration that was featured on the 1965 My Love album. Considered one of the most memorable songs from the Clark / Shipman musical Someone Like You, Home Is Where The Heart Is was performed by Petula in an a cappella style behind a gauze curtain during the shows opening sequence whilst the sounds of war echoed behind. In the original book, it was intended for the overture (based on Home Is Where The Heart Is) to play whilst the gauze showed (by way of projection) a contemporary map of the USA where a light traced along the roads indicating the journey made by Petula's character Abigail and her son Andy, to reach Green Hill making way for the scrim to ascend as scene one opened. In the original book, Home Is Where The Heart Is was written for Serena which became an entire company production number. 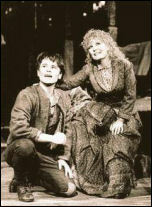 In the touring and London productions, the song was performed by Petula's character Abigail and later reprised as an ensemble piece during the finale. Home Is Where Heart Is was originally recorded as a demo on 11 December 1987 at the Redan Recorders Studios, London. The Home Is Where The Heart Is demo was recorded by Petula and Marjorie Barnes (internationally known jazz and Broadway performer and former member of The 5th Dimension) and has an alternate ending. The song was later modified during the shows development and a final version was recorded on 06 February 1990 at CTS Studios in Wembley for inclusion on a planned cast album of Someone Like You that never materialised. Home Is Where The Heart Is remained unreleased until 1998 when it was issued on the Where The Heart Is album by Connoisseur Records (a subsidiary of First Night Records), to accompany Petula's tour of the same name taking in 17 dates across the UK where Petula performed the song. Dee Shipman recalls: I honestly can't remember where we were when we began writing this song. It was either at my home in Chelsea, The Cricket House, or maybe in our country house - most probably at both; because it went through a number of different stages. 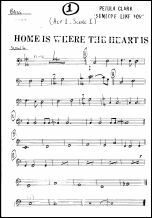 "Home.." is one of my favourite of our songs from this show, and, unusually for a 'simple' song, it was actually easy to write! Petula's a consummate melodist, and listening to her playing this tune, I was able to put myself into Abigail's body, mind, and heart, to 'become' her and then I knew exactly what she was thinking and feeling, on her own in a war-ravaged alien land, and yet, against all the odds, still absolutely certain that things would turn out right!" How appeared as the 'B' side to the single Life's A Game, issued by Fly Records in April 1988. 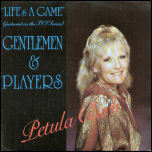 Life's A Game was the theme song to the short lived TVS drama Gentleman And Players and was performed by Petula over the end credits. Issued as a single by Fly Records (EAGLE 2) in April 1988, the record was advertised at the end of each episode. Recorded at Twickenham Studios, both sides of the record were arranged, conducted and produced by Tony Britten. How, with music by Petula and lyrics by Dee Shipman, was released on CD in 2007 on the compilation In Her Own Write issued by Sepia Records. 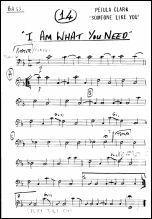 Written as a solo for the character Kane in Someone Like You, I Am What You Need was one of the earliest pieces to be written for the musical project Amen and was originally recorded as a demo by Paul Jones (of Manfred Mann) on 27 June 1985 at Redwood Studios, London. The song was written as a seduction number between Kane and Petula's character Abigail performed in act two of the touring and London productions. 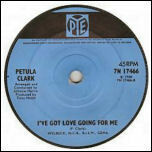 Having officially parted company from her long term record label PYE in 1971, four years later Petula and PYE were briefly reunited to release the single What I Did For Love backed with Petula's own composition, the ballad I Believe In Love (7N. 45506) arranged and conducted by Nick Ingmam. 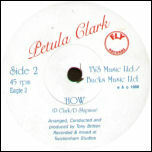 Both tracks were produced by Norman Newell who had supervised Petula's first recording sessions back in 1949. Newell also provided the lyrics to Petula's first UK number one Sailor (written under the pseudonym David West). I Knew You'd Be My Lover was first introduced to listeners as La Chanson De Gainsbourg. The melody was provided by David Hadzis. Recorded in late 2002, with production by the late Michel Colombier, I Knew You'd Be My Lover was released in August 2003 on the German hit retrospective Kaleidoskop Ihre Größthe Hits. Petula recorded an early demo of the song in Geneva with synth programming by David Hadzis. "I wrote this lyric to Grant's music. Thanks to profuse email activity between New York and Paris. James (Hallawell - production assistant on the Lost In You Sessions) put it all together, and I love how he's done it." - Petula. The album Lost In You has been released in the UK, US, Canada, Mexico, Australia and Japan. Surprisingly this French song with lyrics by Pierre Delanoe was included on Petula's mainstream PYE album The Other Man's Grass Is Always Greener, (NSPL 18211) released in 1968. As with many of Petula's compositions, the lyrics are in a sense autobiographical and in this instance, Delanoe has attributed the relationship between the settings of L'Isle De France alongside the other backdrops in Petula's life, such as Hollywood and Manhattan. L'ile De France first appeared on the French Disques Vougue EP La Derniere Valse (EPL 8584) issued in 1967. Released in late 1966 as the flip to the US chart hit Colour My World, (I'm Begging You) Take Me Home Again is a fantastic Petula Clark power ballad. I'm The Woman You Need was recorded under the production of Tony Scotti and represented clear country influences. 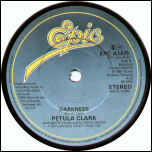 The song formed the title track of Petula's last album recorded for Polydor released in the UK in 1975. Taking from various Polydor sessions, the album features no less than seven producers but still manages to retain a consistent sound. Petula composed both music and lyrics for I'm The Woman You Need. 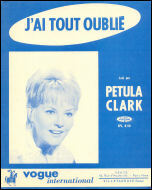 The Road / Je Chante Doucement proved to be one of Petula's most successful compositions of the 1960s with its popular and distinct 'twist' feel. 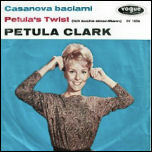 Now given the subtitle Petula's Twist - the German version issued in January 1963 was featured as the 'B' side to the hit single Casanova Baciami, peaking at number 2 in the German singles chart. 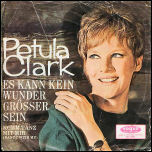 The song was also featured on Petula's first German language album entitled Petula Clark (pictured right). A new composition written by Petula and her musical director Grant Sturiale, recorded in New York in late 2008 and later included on the Collectors Choice compilation Open Your Heart. The recording was arranged by Grant Sturiale and produced by Joseph Baker and Grant Sturiale and recorded at Jospeh Baker's New York studio. In December 1987 the complete demo was recorded at the Redan Recorders Studio in London. The demo recording is a spectacular full production number with session singers and verses sung by Marjorie Barnes an internationally known jazz and Broadway performer and former member of The 5th Dimension. A new contemporary pop song written by Petula and first included on the 2008 chart album Then & Now. The song was recorded between Geneva and London. An alternate mix was subsequently released on the 2010 French compilation Une Baladine. It's OK (I Believe In You) was also performed live during Petula's 2008 UK concert tour. Arranged and conducted by Johnny Harris and produced by Tony Hatch, I've Got Love Going For Me was recorded during the sessions for the 1968 Petula album also known as the Pink Album. The song was released as the 'B' side to the international hit single Kiss Me Goodbye. 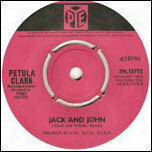 French language recording of Jack And John, featured on the popular LP Petula '65 issued first in the UK in 1964 (VRL 3010) and later issued in 1965 in France and Canada on Disques Vougue. 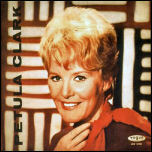 Of the 12 tracks featured on Petula '65, 7 are Clark compositions! The memorable jazz influenced composition Forgetting You was interpreted in French by Pierre Cour. Issued in 1964 as J'ai Tout Oublie, the song appeared on the Disques Vogue EP Plaza De Toros (EPL 8110) and on the Disques Vogue album Ceux Qui Ont Un Coeur (LD 623-30). Jamais Adieu was written for the French Canadian album Vu D'ici released in April 2018. This composition was a joint collaboration (music by Petula) with the author, composer and stage director Nelson Minville (lyrics) who has written over 300 compositions for various artists including Renee Martel, Paul Daraiche and Celine Dion. Vu D'ici was recorded entirely in Quebec and its release was supported by Petula's concert tour of Quebec in May 2018. The album was produced by Antoine Gratton and Louis-Jean Cormier. A 1961 'twist' song (accompanied by Peter Knight and His Orchestra) included on the enormously popular Ya Ya Twist EP issued by Disques Vogue (PNV 24090). 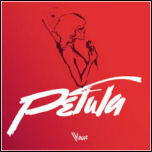 Je Chante Doucement was also included on the Disques Vogue LP Rendez-Vous Avec Petula (VPV 76017-30). This composition demonstrates Petula's constant ability to adapt and write contemporary music, at a time when the 'ye ye' style dominated the French hit parade. An album track from Petula's final Disques Vogue album Comme Un Priere released in 1972 (LDM 30140). A German language recording of the 1965 Petula composition Dance With Me. 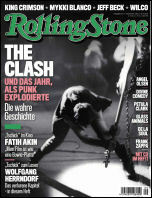 Released in Germany in 1967 as the 'B' side to Es Kann Kein Wunder Grosser Sein. Komm Tanz Mit Mir was recorded to the original 1965 backing track and issued by Vogue Schallplatten (DV 14596). 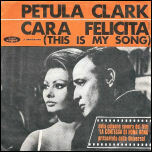 Written under Petula's writing pseudonym Al Grant, La Dove Muore Il Sole is the Italian version of Petula's song Some produced for record by her husband Claude Wolff. 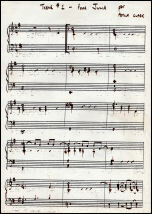 For the recording of La Dove Muore Il Sole, the original backing track, arranged by Ernie Freeman, was used for this Italian interpretation. La Dove Muore Il Sole featured on the 'B' side to the Italian version of Happy Heart; Il Sole Nel Cuore issued by Disques Vogue (VG 87.003). 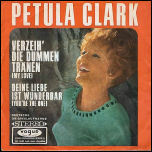 German language recording of the popular Clark composition The Show Is Over produced for record by Rudi Bauer. Lass Keinen Tag Vergeh'n was recorded at PYE Studios, London during 1968 and became the 'B' side to the German version of Kiss Me Goodbye released by Vogue Schallplatten (DV 14719). The track was arranged and conducted by Tony Hatch. 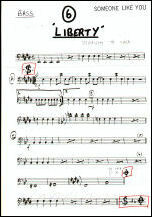 In the original book by Clark / Shipman Liberty was performed by Moonshine. When Someone Like You toured the UK in 1989, Liberty was staged as a fun / comedy song for the characters Moonshine and Andy in act one. The song was turned into a more serious affair for the West End version and involved the soldiers and Serena in an elaborate dance number that was performed in act one. The change in direction hindered the song which was more effective when performed on tour. 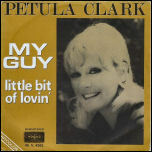 Little Bit Of Lovin' was penned under Petula's pseudonym Al Grant and recorded during the sessions for the Polydor / MGM album Now, arranged by Don Costa. Although omitted from the Now album, Little Bit Of Lovin' was featured as the 'B' side to her first single in the US on MGM; My Guy, released in the spring of 1972. The record performed well in the US Adult Contemporary Charts and peaked at #70 on the national singles chart. 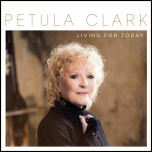 Living For Today is a song first presented to audiences in 2016 during Petula's UK From Now On tour. With lyrics by Petula and music by Grant Sturiale, the song was recorded in New York at Mister B Studios and produced by Joseph Baker and Grant Sturiale. Living For Today was first released internationally across all digital platforms on 10 November 2017 and the album Living For Today, a repackaged issue of the 2016 album From Now On featuring Living For Today as the lead track. The physical CD album was released in the US on 12 January 2018. 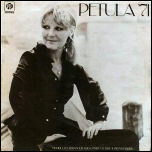 Petula composed three songs for her final PYE album Petula '71. Looking At Life was co-written with John Bromley. Bromley and producer Johnny Harris provided the bulk of original material for the Petula '71 album. 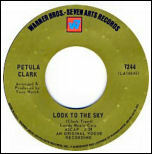 An alternate take of the song is featured on the RPM CD Petula '71 issued in 1996. 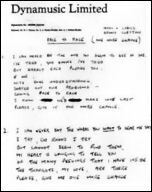 Look At Me was an alternate lyric to Just Say Goodbye. Tony Hatch's alternate version was more bitter and tragic and perhaps considered less commercial than the final version issued by PYE. Look At Me remained unreleased until it was issued by Sequel on the 1995 3 CD box set; I Love To Sing. Look At Me was recorded at PYE Studios, London on 27 May 1965. Another rare writing opportunity between Petula and Jackie Trent. Released in 1968, Look To The Sky was featured as the 'B' side to the poorly received Hatch / Trent song American Boys. An alternate lyric was written for Look To The Sky and published by Socitie Vogue Records as Back To The Sky. In the original Clark / Shipman book, Look Where The Journey Led was known as The Soliloquy comprising of Look Where The Journey Led / Three Time Loser / Empty Spaces / Green Hill, West Virginia and a reprise of Empty Spaces. 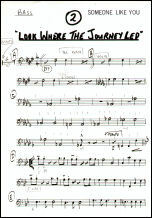 On stage, Look Where The Journey Led was performed as the opening song of act one by The Major (Dave Willetts) and his wife Susannah (Jane Arden). Losing You was written for the character Susannah (Jane Arden) to perform in act two of the Clark / Shipman musical Someone Like You. Petula recorded several demo recordings of Losing You at Dee Shipman's Hertfordshire studio in early 1989. 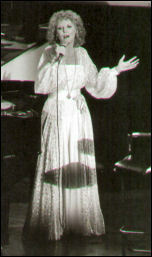 The demo recordings feature Petula singing the song in a higher key than her usual register to reflect the character of Susannah. 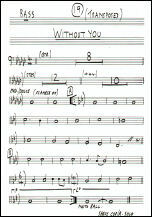 Losing You was performed throughout the UK national tour of Someone Like You but was renamed with new lyrics to Without You for Harold Fielding's West End production. Love Is A Long Journey (arranged and produced by Tony Hatch) appeared as the 'B' side to the international hit recording of Who Am I. 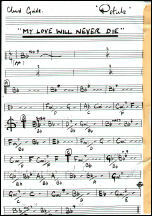 Love Is All That Really Matters was written in late 1985 as an up tempo ensemble song for the musical Someone Like You. 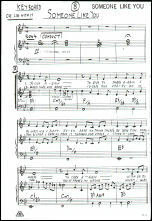 The song was not included in the final production of Someone Like You but appeared in the original Clark / Shipman book as the opening to act two. Love Is Here was recorded during the 1967 sessions for the These Are My Songs album produced by Ernie Freeman. 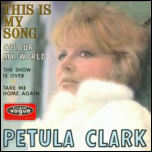 The track is one of two compositions credited to Petula's writing pseudonym Al Grant on the These Are My Songs album. The song also appeared as a 'B' side on select foreign singles of the international hit recording The Other Man's Grass Is Always Greener. 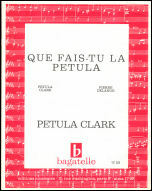 Written under Petula's writing pseudonym Al Grant, Love Is The Only Thing is from the Portrait Of Petula sessions (arranged and conducted by Michel Colombier). Released in 1969, the song was first heard as the 'B' side to the single Happy Heart. 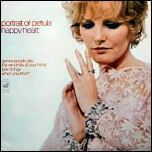 An Italian recording of Petula's 1965 composition Heart accompanied by Tony Hatch and His Orchestra. Ma (produced by Ezio Leoni) appeared as the 'B' side to the Italian single Io Resto Qui (Just Say Goodbye) issued by Disques Vogue (J 35079). One of the first commercial songs Petula wrote with lyricist Dee Shipman outside of their musical concept Someone Like You. An alternate mix of Mad About You was released on the 2007 album In Her Own Write issued by Sepia Records. 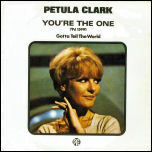 Petula's French language recording of the hit composition You're The One. Un Mal Pour Un Bien, arranged and produced by Tony Hatch was issued on the French Disques Vogue EP in 1965 (EPL 8386). A French writing collaboration between Petula and Pierre Delanoe. Meme Encore Maintenant featured on both the C'est Ma Chanson EP and album. With music and lyrics by Petula, Meant To Be was first performed by Petula as the opening to act two during her concerts in the UK in 2013. 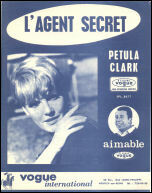 A French writing collaboration between Petula and Georges Aber, La Mer Est Comme Toi was subsequently issued on the L'Agent Secret EP in 1966. In November 1990 Petula returned to the UK concert platform with a grand show at the Barbican Centre. 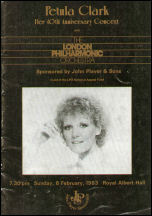 For this performance on 22 November 1990, Petula was accompanied by the London Concert Orchestra and supported by the King Singers. The concert contained several surprises and unusual additions to Petula's repertoire. This included a beautifully orchestrated version of Empty Spaces from Someone Like You, the first time Petula had sung any of the material since the show closed. 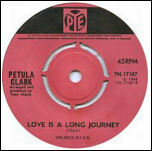 A new song written completely by Petula was also performed entitled My Love Will Never Die. This epic song was described as a tribute to her supportive fans. The song was first recorded in 2007 by West End singer Amanda Jane Manning. 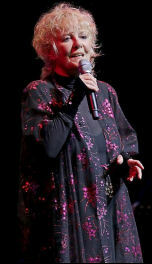 After 18 years, Petula performed the song again during her 2008 UK concert tour. A comedy song written by Petula around the mispronunciation of her name around the world. The song links four other songs in a concert routine which included Monsieur, Santa Lucia, Hello Dolly and Call Me. The medley is featured on the recordings Live At The Copacabana (1966) and Live At The Royal Albert Hall (1969). 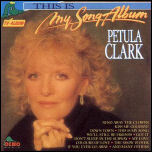 My Name Is Petula was arranged by Petula's then pianist and musical director Frank Owens. An original French composition with music by Petula and lyrics by Pierre Delanoe. 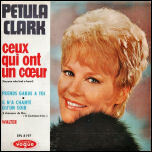 In 1964 Petula was commissioned to compose original songs and instrumental themes for a new French film entitled A Couteux Tires. 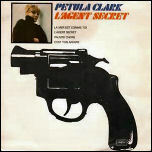 The crime thriller also starred Petula as herself, performing Il N'A Chante Qu'un Soir, in a night club setting. This song was later issued on the PYE EP Encore En Français (NEP 24189). 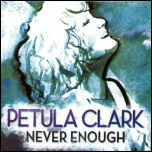 Co-written by Petula, Never Enough is an upbeat and lively track with a country and western edge recorded for the 2013 chart album Lost In You which peaked in the UK charts at #24. 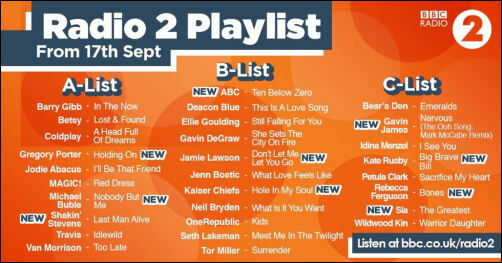 Never Enough was featured on the BBC Radio 2 play list for four weeks in March / April 2013. Never Enough was released as a DJ Promo single (pictured right). Never Will I was Tony Hatch's first lyric for the song that became Tell Me. The lyric was recorded by Petula but later abandoned in favour of the alternate version Tell Me (That It's Love). Never Will I remained in the PYE / PRT archive until 1995 when Sequel featured the song on the 3 CD box set I Love To Sing. 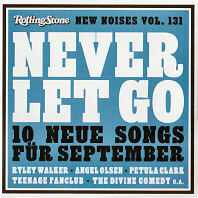 In September 2016, the German edition of RollingStone Magazine featured a cover mount CD "New Noises - 10 New Songs For September" highlighting Never Let Go (pictured below). Prior to the US national tour of Sunset Boulevard, Petula began developing ideas for an autobiographical one woman show. 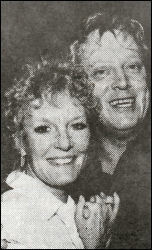 Petula recorded a series of demo tapes with her musical director Kenny Clayton of fragment songs for inclusion in the concept show. One of these fragments was to be called New York which cleverly adapted the melody of Downtown with Petula's own counter melody. Non Mi Guardi Mai appeared in 1965 as the flip to the Italian recording of Invece No, Petula's entry to the coveted San Remo Song Festival. Non Mi Guardi Mai was recorded in Milan in late 1964 and adapted into English by Tony Hatch as Time For Love. The Italian language version of Elle Est Finie La Belle Histoire. Italian lyrics were provided by Vito Pallavicini who adapted the majority of Petula's songs into Italian. 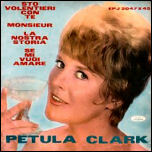 Petula's Italian vocals were recorded in Paris in 1963 to the original Peter Knight backing track. Now was a lyric Dee Shipman wrote for Charles Aznavour in the late 1970s but was never put to music. 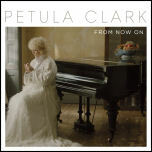 In 1991, Petula wrote her own melody for Now which she recorded as a demo at the Dower House Studios in Hertfordshire. 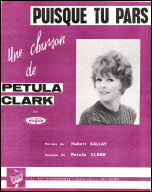 For the English language version of Puisque Tu Pars, established producer and lyricist Norman Newell was recruited to compose what became Now That You've Gone - music is by Petula Clark. The track was featured on the original Downtown album and also included on the French Disques Vogue album Petula '65. The song was later covered by South African beat singer Sharon Tandy with backing by the popular girl group The Breakaways. Now That You've Gone was also covered by New York cabaret singer Moira Danis in her show and on her album Beautiful Sounds - The Songs of Petula Clark. In 2019, the Johnny Mathis version was issued as a download - which has been taken from the 2018 back catalogue collection The Voice of Romance: The Columbia Original Album Collection. Released as an album track on the Les James Dean album in 1964, Il N'Y A Qu'une Femme is a swing number, accompanied by a Tony Hatch big band arrangement. Hal Shaper adapted Petula's French recording La Colline Au Whisky for the English market, transforming the rather novelty song into a meaningful anti-war anthem. 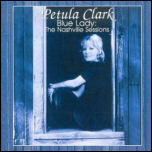 Petula recorded the new version during the These Are My Songs sessions under the direction of Ernie Freeman in Los Angeles in 1967. The song took on another dimension when it became the centre of controversy in 1968 when Petula choose to perform On The Path Of Glory as a duet with Harry Belafonte for her first US TV special. In 1968 NBC-TV invited Clark to host her own special in the U.S., and in doing so she inadvertently made television history. While singing a duet of "On the Path of Glory," an anti-war song that she had composed, with guest Harry Belafonte, she took hold of his arm, to the dismay of a representative from the Chrysler Corporation (the show's sponsor), who feared that the moment would incur racial backlash from Southern viewers. When he insisted that they substitute a different take, with Clark and Belafonte standing well away from each other, Clark and the executive producer of the show, her husband Wolff -refused, destroyed all other takes of the song, and delivered the finished program to NBC with the touch intact. The programme aired on 8 April 1968, with high ratings and critical acclaim, and became the first instance on American television of physical contact between a black man and a white woman. On With The Show was Petula's first collaboration with lyricist Dee Shipman. By 1978, Shipman was fast becoming an established lyricist having written several songs with Roger Webb and Charles Aznavour. 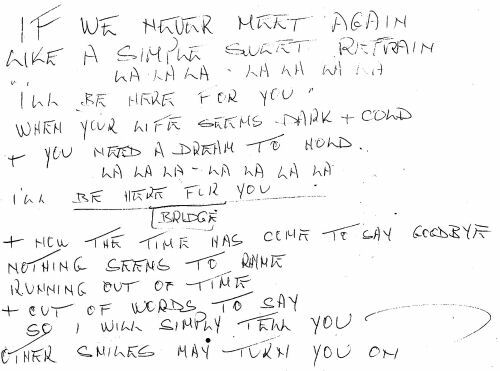 Now becoming a permanent English interpreter of Aznavour's French lyrics, Shipman submitted to Charles a new lyric titled On With The Show. 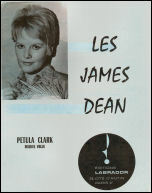 Petula discovered the lyric at Charles' home and was immediately taken with Dee's style of writing. Petula wrote her own melody to the song and debuted the piece at her 1978 concert at the Chichester Festival Theatre (top right) for the ITV Special At The Turn Of The Year broadcast on New Years Eve in 1978 and later released on DVD by Delta (right). Another fragment recorded by Petula on demo tape for possible inclusion in an autobiographical one woman show (see also New York). 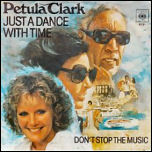 The song featured a melody in waltz time and narrative lyrics to describe Petula's journeys to Paris and the distinct changes in attitudes and atmosphere between London and the French capital. 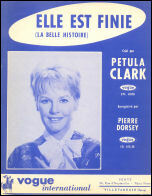 A 1966 French collaboration between Petula and Pierre Delanoe, first issued on the Vogue EP La Mer Est Comme Toi, consisting of four Clark compositions accompanied by Tony Hatch and His Orchestra This catchy Sixties beat song was later issued on the C'est Ma Chanson album a year later. 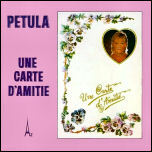 Written under Petula's writing pseudonym Al Grant, Un Petit Peu D'Amour is the French lyric for Petula's 1972 song Little Bit Of Lovin'. The song was recorded and featured on the final Disques Vogue LP Comme Un Priere (LDM 30140) in 1972 using the original Don Costa backing track. A classical melody composed by Petula with French lyrics by Pierre Delanoe. The song is complemented by a striking orchestration with a strong string section. The track was first included on the 1966 Disques Vogue EP Hello Mister Brown (EPL 8 485) and later on the 1967 Disques Vogue album C'est Ma Chanson (CLD 706 30). Another catchy pop song included on the 1966 French EP Hello Mister Brown (EPL 8 485) with music by Petula and lyrics by Jacques Marx. A dramatic melody crafted by Petula with lyrics by Tony Hatch for the PYE album Colour My World issued in 1967. The song features top production from Tony Hatch and orchestral direction from Johnny Harris. A French language recording of Please Don't Go. Pourquoi Dis Tu Puorquoi was issued on the Disques Vogue EP and album C'est Ma Chanson. A French adaptation of the song World War II. Prelude A La Guerre, was first performed during Petula's spectacular concert at the Olympia Music Hall, Paris on 28 September 2003. 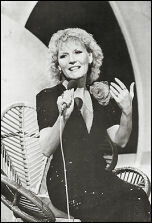 The song incorporated the original broadcast of Petula singing Mighty Like A Rose (as released by Sepia Records on Partners In Music) from 1942 with Petula harmonising to the original vocal. Between August 1993 and April 1994, Petula starred as Mrs. Johnston in the Broadway production of Willy Russell's musical Blood Brothers. While in New York, Petula collaborated with producer Joseph Baker on a set of demo recordings to form the basis of a new contemporary album. The recordings are often referred to as The New York Sessions and Petula recorded ten new songs for the intended album project. Writing with the shows US tour musical director Grant Sturiale, Petula composed the song Prelude To Love, which for the demo recording was performed as a duet with Domenick Allen. At the time Domenick was performing in Blood Brothers as the Narrator. During the New York Sessions Petula also recorded the first version of Here We Are, another Sturiale composition. Here We Are was later re-recorded for inclusion on the 1998 album Here For You. To date, Prelude To Love remains unreleased. Petula wrote English lyrics to David Hadzis' song La Premiere Fois (alternate versions were also recorded in French and German) recorded in Los Angeles during the Winter months of 2002. The song was released on the French hit compilation Kaleidoscope in April 2003. La Premiere Fois was arranged and produced by Michel Colombier. Prends Garde A Toi, appeared initially on the very popular French Disques Vogue EP Ceux Qui Ont Un Coeur (Anyone Who Had A Heart) and later on the Disques Vogue album of the same name. 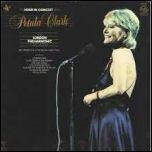 Petula performed a live version of Prends Garde A Toi in a sequence for the film A Couteux Tires, featuring a different arrangement to the version issued on record. Pretty Cherries was written in 1973 when Petula and Sacha Distel recorded a series of duets for the Polydor label. In 1973 Polydor UK issued the poorly distributed single Lead Me On backed with Taking It On. 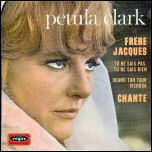 A year earlier, Petula recorded Sacha's composition Comme Je T'aime Mon Amour for the Disques Vogue album Comme Une Prière. Puisque Tu Pars was initially featured as the final track on the 1964 Vogue album Les James Dean. The song was later issued on the 1965 Disques Vogue EP Dans Le Temps. Puisque Tu Pars was later adapted into English by Norman Newell and became Now That You've Gone. Both the BBC and ITC banned all airplay on the popular song on the basis that they felt that the word "Sunbeam" to be advertising. CBS Records quickly got Petula back into the studio to re-record the song replacing all references to "Sunbeam" with "Sunshine". Promotional copies of the song as Put A Little Sunshine In Your Life (with the same catalogue number as the "Sunbeam" release) was issued by CBS Records on 21 April 1978 for the purposes of radio airplay. Recorded in 1969 Quand Ton Tour Viendra features a striking Clark melody enhanced by a powerful string arrangement by Michel Colombier. 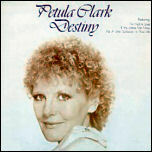 The song was released on the Petula Clark album for Disques Vogue and also the Frere Jacques EP (EPL 8 647). Que Faut-Il Faire Pour Oublier? is more widely known in its English language form as There Goes My Love, There Goes My Life. Que Faut-Il Faire Pour Oublier? 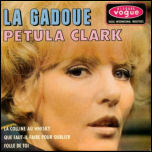 was released in 1966 on the original EP of one of Petula's biggest French hits La Gadoue issued by Disques Vogue (EPL. 8410). The track has been rated as one of Petula's most dramatic and accomplished compositions. "Tony Hatch and I wrote The Rainbow in Tony's lovely house in Minorca, off the coast of Spain. I couldn't get into the studio right away - but eventually started recording it in New Jersey and then in New York". 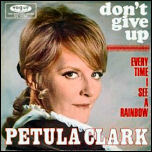 Petula's recording of The Rainbow debut on the UK album I Couldn't Live Without Your Love - Hits, Classics and More issued by BMG in December 2017. In America, The Rainbow is featured on the 2018 album Living For Today issued by BMG. A melodramatic French song, concluding with gun shots. Petula's effective melody marries well with Delanoe's dramatic narrative. Rebecca was included on the 1967 French album C'est Ma Chanson issued by Disques Vogue (CLD 706 30). In 2012, in an article discussing the work of Glenn Gould for Gramophone Magazine, Petula commented: "Glenn wasn't someone I was aware of in the 1950s and '60s - I wasn't really into that sort of music then. I only heard about the connection that I had with Glenn around the time he died. I wasn't aware of any of this - I don't know what to call it - this 'thing' that he had about me (referring to an article written by Gould entitled The Search For Petula Clark that was first featured in the November 1967 issue of the US magazine High Fidelity). I think it was absolutely bizarre, but flattering of course. I read what he had written and I listened to the programme he made about me. First, I thought that this might be a tongue-in-cheek thing, you know, but then I thought - no, this is really quite interesting. He was just really listening deeply to my music. I have to say that it is a huge regret that I never met him. Sometimes I imagine what it might have been like if we had met, if we'd found ourselves in a room together. I'm sure I would have liked him. Maybe he'd played piano for me and I'd have sung - it would have been an amazing moment. His Bach recordings are just incredible. The strange thing is that I'm recording a new album in French and English, and the songs are a combination of new songs and covers such as John Lennon's 'Imagine' (I have a connection with John Lennon, too; apparently I was his favourite female singer). I wanted to make a tribute to Glenn Gould, so my producer came up with a piece of Bach and said, 'Why don't you write a lyric to it?' That really was intimidating. Anyway, it now exists - the song's called 'Reflections' and I am about to grapple with it in the studio. It's not going to easy for several reasons, but mainly because I can feel Mr. Bach and Mr. Gould breathing down my neck - no pressure, of course!'" 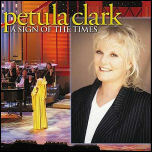 A brand new composition by Petula which premiered in her new format concert at Tarrytown, New York in September 2010. Petula first approached Dee Shipman in the mid 90s with the idea of penning a song about the plight of refugees. The song was recorded in New York at Bakerboys Music Studio and produced by Joseph Baker in 2011. To date, the song remains unreleased. Regardez Les is the French version of Petula's unforgettable composition Just Say Goodbye. The French language version was recorded in 1965 and appeared on the Disques Vogue EP Viens Avec Moi (EPL. 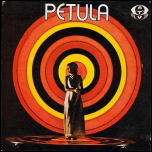 8342) and the album Petula '65. 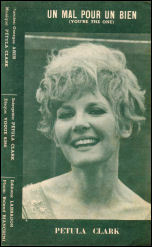 Petula also performed the song at her live concert appearance at the Olympia Music Hall in April 1965. 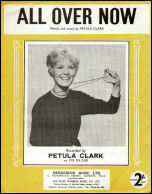 Another popular composition written, words and music, under Petula's pseudonym Al Grant. Resist was recorded in Los Angeles and orchestrated by Ernie Freeman for the These Are My Songs album. 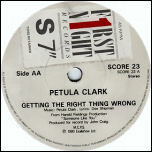 Written under Petula's writing pseudonym Al Grant, Right On is Petula's sole writing contribution to the celebrated Memphis album recorded with Chips Moman in 1970. 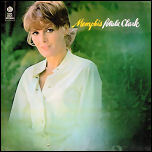 Often considered to be Petula's finest set of recordings, Memphis teamed Clark's vocals with some of the finest folk and country writers of the time. 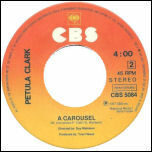 Petula's composition Right On with its rhythmic beat, folk sound and contemporary lyrics, sits well alongside songs by Curtis Mayfield, Toni Wine and David Gates. Following the sensational hat trick of hit UK singles released in 1961 - Sailor, Romeo and My Friend The Sea, PYE Records were keen for Petula to match these successes in 1962 and released a number of singles, all of which failed to live up to the expectations of their predecessors. The final single to be issued in 1962 was The Road a respectable twist number. Abroad, the song fared much better, especially in France where it became a modest hit as Je Chante Doucement. 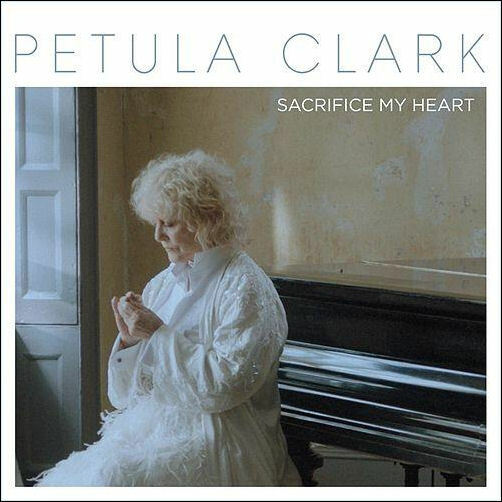 Sacrifice My Heart is the lead track from Petula's 2016 studio album From Now On which is Petula's forty-fifth studio album released in the UK on 16 September 2016 by BMG Rights Management. The album debuted in the official UK album chart at #70 in the official UK album chart and marked Petula's fiftieth year on the UK album chart. Sacrifice My Heart became the lead song from the album co-written by Petula Clark, Sarah Naghshineh, Paul Viser and John Owen Williams and issued as an upfront grat track via Youtube and digital download track ahead of the album on 05 August 2016 on digital platforms. Promotional copies were also manufactured by BMG for radio stations. Jack A Bowden directed Petula in an appropriately elegant yet characterful setting, using some old-school techniques to showcase the track and her performance. Commenting, Jack A Bowden reflected: "We wanted to show Petula in an angelic, ethereal light, while placing her in an environment which contrasts with this kind of quality. The house in-which she's placed is decrepit and weathered, but proudly holds hints of grandeur and class, having aged gracefully. Petula performs an emotive message to a past companion, whom, for whatever reason is no-longer part of her world. Using techniques, such as 'fake cuts', and old school methods, like slow shutter speeds, we presented Petula in a haunting fashion. This was designed to pose a question as to whether Petula had left her lovers realm, or vice versa". "The real magic can be found on the electronic pulse of Sacrifice My Heart, which repositions her as a Sarah Cracknell for her generation" - MOJO Magazine. German version of the Italian song Non Mi Guardi Mi, later adapted into English by Tony Hatch as Time For Love. 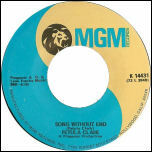 Schade appeared as the flip to the 1967 German single Alle Leute Wollen In Den Himmel (Tout Le Monde Ne Veut Aller Au Ciel) issued by Vogue Schallplatten (DV 14642). 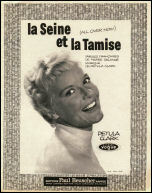 La Seine Est La Tamise recorded in 1961, is noted as being the first writing collaboration between Petula and French poet / lyricist Pierre Delanoe. 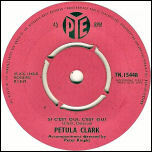 The song was a French adaptation of Petula's composition All Over Now released by PYE a year earlier. The new recording was given an entirely new arrangement by Peter Knight, transforming Clark's composition from a pop song into a more orchestral ballad. La Seine Est La Tamise, was first issued on the 1961 Disques Vogue EP Calcutta (PNV. 24078) and later on the popular Disque Vogue 10" album Tête A Tête Avec Petula Clark (VPV. 76.015). 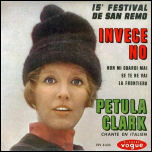 Se Te Ne Vai was recorded in 1964 as an Italian adaptation of the Clark song Now That You've Gone. The song was featured as the flip to Ciao, Ciao, the Italian version of Downtown, which, when released in May 1965 by Disques Vogue (J 35066), topped the Italian hit parade. 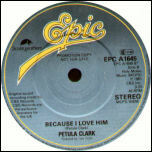 A notably popular song with both music and lyrics by Petula. The Show Is Over first appeared as the 'B' side of the UK number 1 single This Is My Song in 1967. Twenty years after first recording The Show Is Over, Petula re-recorded the song under the production of Dutch producer Eddy Ouwens (pictured right) as the closing track on her album This Is My Song Album / My Greatest in 1987. Si C'est Oui, C'est Oui was another 'twist' style composition by Petula and Pierre Delanoe. The song was featured on the 1962 Disques Vogue EP A London (PNV. 24091) and was also released in the United Kingdom when coupled with the PYE single Ya Ya Twist (7N.15448) in June 1962. Si C'est Oui, C'est Oui was arranged by Peter Knight. So Easy was a new lyric written by Dee Shipman during a matinee performance of Someone Like You at the Grand Opera House in York. The song was one of the new additions that featured in the West End transfer of Someone Like You. 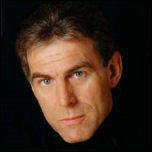 So Easy was written as a ballad for the Major and was performed with great effect by Dave Willetts. 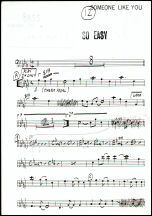 In February 1990, Dave recorded a domestic demo of So Easy with Kenny Clayton at piano. In 1998 with a new arrangement by Michel Colombier, Petula recorded So Easy for her studio album Here For You released by Varese Sarabande. Dee Shipman remembers: We were on tour, prior to coming into the West End with 'Someone Like You', and had arrived in York. I liked to go into a different part of the auditorium each performance, to hear and see the audience reactions, also what they were seeing and hearing; if there were any things that didn't work for any part of the audience because of ;blind spots' etc. This particular night I was sitting in the front row of the Circle, watching the scene in Act 2 between the Major and Abigail, played by Dave Willetts and Petula; the dialogue was okay, but it was an emotional scene - what's called,in musicals, a golden moment, when the emotion gets too big for words alone but there was no song! I started to have a chat with myself in my head - "So would it be a duet?" "No. it's a solo that's needed here, for the Major to sing as Abigail leaves the stage - a song ABOUT her, rather than to, or with, her!" "So what would he be singing?" "Well, they'd previously been talking about how sometimes we know something is right, and that knowing makes even complicated things seem simple like falling in love when you thought it would never, could never, happen again. All the arguments we have with ourselves against commiting, because it's so complicated - but when it's right, love is so easy!" I felt in my bag for something to write on, found my cheque book, and my pen - and sitting there in the darkness, I started writing on the back of the cover. "Okay, can we write this tomorrow morning......?" So we did! 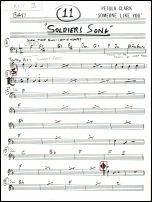 Soldier Blues was the opening song for act two of the Clark / Shipman musical Someone Like You. The song was a rousing and bawdy piece sung by the group of soldiers and featured the character Serena. Soldier Blues was written in 1989 and was one of the final songs to be added to the touring production. 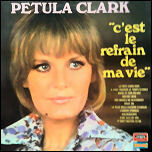 An album track recorded during the sessions for the French Petula album issued in 2012 by Sony BMG and co-written with Maxime Pinto and Maxime Lebidois. The track was recorded as a duet between Petula and the French soul singer-songwriter Ben L'Oncle Soul. Someone Like You (The Major's Ballad) was an emotive declaration of love, performed as a soliloquy by The Major in act one of the Clark / Shipman musical of the same name. Despite a domestic demo recording of The Major's Ballad, Willetts never recorded the song in its entirety. 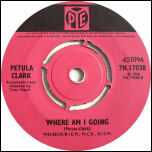 Petula originally wrote the melody to her own lyric entitled Why Won't it End. During Petula's 1998 Where The Heart Is tour, Petula was reunited with Dave Willetts during her concert at Leamington Spa where they performed an impromptu version of Someone Like You to an appreciative audience. 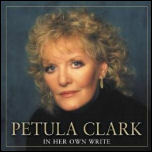 An instrumental version by Petula's then musical director Kenny Clayton is included on the CD retrospective In Her Own Write released by Sepia. 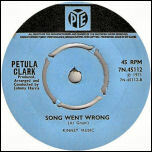 Written under Petula's writing pseudonym Al Grant, Song Went Wrong, produced, arranged and conducted by Johnny Harris, was a somewhat dark and unusual fragment song that appeared as the concluding track to the final PYE album Petula '71 (NSPL.18370). Song Went Wrong was also featured as the flip on the 1971 PYE single I Don't Know How To Love Him which peaked at #47 in the UK singles chart in January 1972. 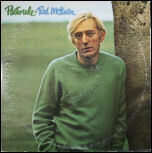 The song was also highlighted by Rod McKuen who performed the song on his 1971 BBC Television series. Song Without End was recorded under the production of Don Costa for Petula's album Now for the MGM / Polydor label. 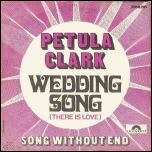 Song Without End was issued on various singles in the US and Europe and later appeared as the closing track on the Polydor compilation album Just Petula, released in the UK in 1975. For almost a decade American pianist Frank Owens was Petula's musical director. 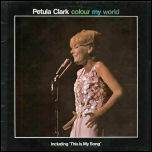 In 1967 Owens and Clark collaborated on Special People an attractive melody and lyric that proved a highlight on the Colour My World album. The recording of Special People was arranged and produced by Tony Hatch. In the tragic aftermath of 9/11, Petula wrote the sincere and heartfelt lyric Starting All Over Again. The song was recorded in late 2002 during sessions produced by Michel Colombier in Los Angeles. On 21st December 2002, Petula debuted the song during a charity concert for the annual Stars at Christimas Family Concert organised by Stars Organisation Supporting (SOS) cerebral palsy at the Queen Elizabeth Hall, London. 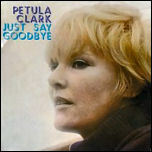 Petula originally recorded a demo version of Starting All Over Again in Geneva with synth programming by David Hadzis. Starting All Over Again was first released on the German hits package Kaleidoskop Ihre Größthe Hits issued by Sanctuary Records. 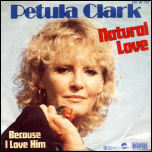 Super Lovin' Lady is one of Petula's more rock influenced compositions. The song was released in April 1975 as the flip to the Polydor single I Am Your Song. 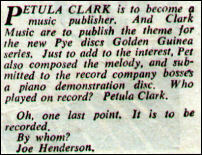 Petula's singles for Polydor were poorly distributed and failed to gain the attention they deserved. The track derived from sessions that reunited Petula with Tony Hatch to record a number of his new compositions. 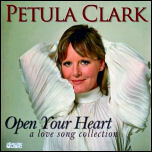 Petula originally wrote Super Lovin' Lady in 1974 and featured the song on her BBC TV series The Sound Of Petula. Petula performed the song on numerous occasions for US TV audiences, most memorably as a duet with Helen Reddy for The Midnight Special. Petula reprised the song for the all women charity concert Golden Gala, recorded at the London Palladium and broadcast on 09 July 1978. The song fitted the bill superbly on a night that celebrated the 50th anniversary of equal voting rights for women. Super Lovin' Lady was first issued on CD in 2009 on the Collectors Choice compilation Open Your Heart. One of the last writing collaborations between Petula and Pierre Delanoe and intended for live presentation at the Paris Olympia in September 2003. The song is a tongue in cheek and humourous approach to love and finding a 'Superman'. The song was later dropped from the Olympia concert repertoire in favour of the Gilbert Becaud / Pierre Delanoe song SOS Mozart. 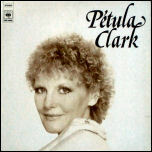 Superman was arranged for Petula by her musical director Kenny Clayton. Swiss Valley was a French ballad composed by Petula for an album released by AZ Records in 1973 (pictured right). The arrangement featured an impressive string section and grand musical bridge across Petula's melody. 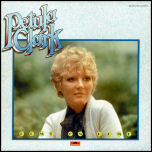 The song appeared on the 1973 album Petula Clark and also backed the second AZ single Thank You My Lord (pictured right). 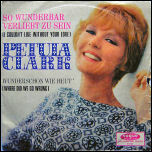 Petula also composed and recorded an English lyric to 'Swiss Valley', which remained unreleased until 2009. Tell Me is a Clark / Hatch composition recorded especially for the Downtown album issued in 1965, a rushed release by PYE to capitalise on the phenomenal impact of Downtown. There Goes My Love, There Goes My Life is a dramatic ballad penned by Petula, Tony Hatch and Jackie Trent. 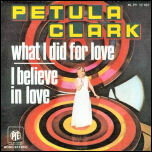 Petula's emotional recording of the song was featured on the I Couldn't Live Without Your Love album. Jackie Trent later recorded her own interpretation of the song. Petula wrote the piece while travelling between Paris and London on the Eurostar. 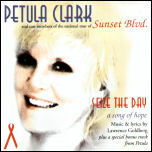 Petula first performed the poem in Rhyl in 1998 at the start of her UK tour Where The Heart Is and later recorded the poem as a spoken word recording that was featured on her 2000 charity CD single Seize The Day with all proceeds from the recording being donated to Broadway Cares / Equity Fights Aids and other Aids Charities. 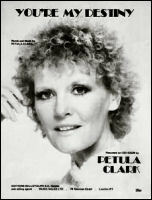 In August 1980, Petula collaborated with her then musical director Kenny Clayton on a set of concept instrumental themes intended for film. 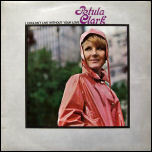 Petula composed four diverse instrumental pieces that Kenny Clayton recorded with The Kenny Clayton Trio (piano, drums, bass) on 02 August 1980. 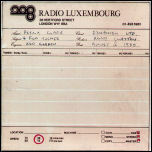 The recording sessions took place at the Radio Luxembourg Studios in Hertford Street, London - Read More. 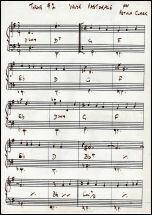 The first theme recorded was a dramatic and sweeping melody titled Pour Julia. The piece begins with Kenny playing the melody as a piano solo and gradually the other instruments are introduced. The middle eight of Pour Julia was later used for the song Young 'Un in Clark / Shipman musical Someone Like You. Valse Pastorale is a sophisticated song written by Petula in waltz time. Kenny Clayton provided a dreamy and classy arrangement for this number. The melody for Valse Pastorale was later adapted and utilised for the fragment Paris intended for Petula's one woman show concept. 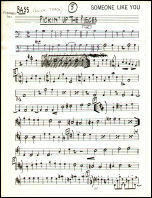 Le Foxtrot was written in a 1940s style and featured a jazzy Kenny Clayton arrangement to reflect that period in music. 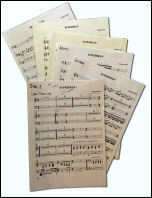 All four themes were first released on the 2007 retrospective In Her Own Write issued by Sepia Records. Written under Petula's writing pseudonym Al Grant Things Bright And Beautiful was penned for the 1969 album Just Pet. The song features a vibrant and psychedelic arrangement which was reflected in other album tracks. The song was also included as the 'B' side to the minor US hit single No One Better Than You. Both Rod McKuen and Glenn Yarbrough have covered Things Bright And Beautiful. The song was also recorded by Rock Hudson (with additional verses by Rod Mckuen) for his album Rock Gently recorded in London at Phillips and Chappell Studios in 1970 and issued on the Stanyan label. Things Bright and Beautiful was also covered by New York cabaret singer Moira Danis in her show and on her album Beautiful Sounds - The Songs of Petula Clark. The English language version of Elle Est Finie (La Belle Histoire) featured lyrics by Tony Hatch under his writing pseudonym Mark Anthony. This Is Goodbye was released originally in the autumn of 1963 as the 'B' side to the PYE single Baby It's Me (also composed by Mark Anthony). This Is Goodbye was later included on the Downtown album compiled and issued by PYE in 1965. Three Time Loser was written by Petula and Dee Shipman in 1986 and recorded for a soliloquy comprising of Look Where The Journey Led, Three Time Loser, Empty Spaces and Green Hill, West Virginia. The demo version was recorded at PRT Studios, London (formerly PYE Studios) - Read More. 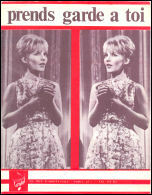 The original staging of the song was written by Petula and Dee as a sequence where Abigail is visited by the ghosts of her past in act two. After the demo was completed, Petula and Dee continued to develop and expand the song. 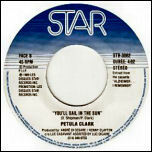 Petula altered the introduction and made the song more rhythmic with a country feel. The new version of Three Time Loser was recorded as a demo in early 1989 at Dee Shipman's Hertfordshire studio. In two takes, Petula recorded the new version, accompanying herself at piano. 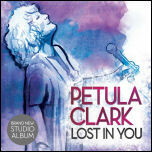 During the same session, Petula also recorded a demo of Losing You. Dee Shipman also wrote a new lyric to the melody, entitled One Man Woman. 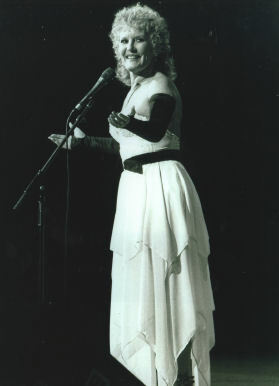 One Man Woman was performed by Petula to a concert audience as a work in progress at The Bournemouth International Centre in July 1989. Neither Three Time Loser or One Man Woman were included in the final production of Someone Like You. Petula and Dee later utilised the melody for the song Celebrate which was performed and recorded for the Virginia Arts Festival. Ti Amo was considered the show stopper from the Clark / Shipman musical concept J'Accuse ...! The Passions of Emile Zola. Petula's sweeping and dramatic melody was accompanied by an exquisite Dee Shipman lyric. The song is performed by Zola at the end of the production, whilst in exile. Ti Amo was recorded as a demo by Dave Willetts in September 1991, the song was arranged by the classical pianist Paul Bateman for the Zola demo session. 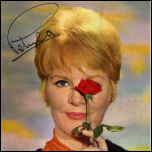 At the end of the recording session, Petula recorded her own superb version of Ti Amo. 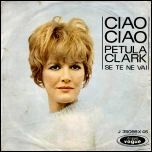 Two months after Petula recorded the first version of Ti Amo, she recorded an abridged version which cut the middle 8. This abridged version was later released on the 2007 retrospective In Her Own Write. In 2006, Petula adapted Ti Amo, writing her own lyric as Together (Ensemble). Time For Love was released as the flip to the international hit A Sign Of The Times. Time For Love was originally recorded in Italian as Non Mi Guardi Mi, with new English lyrics by Tony Hatch. Time For Love was also featured on the My Love album, released in Spring 1966. To Memphis was written in December 2004 when Petula spent a week in the Tennessee city to attend a gala evening organised by the late David Gest in aid of the homeless. Inspired by the music and atmosphere of the city, she composed the bluesy / gospel homage To Memphis. 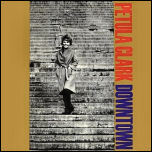 On 09 January 2005, Petula recorded a demo of To Memphis, produced by Joseph Baker at his New York studio. The demo featured Petula accompanying herself at piano. Petula's musical director Kenny Clayton, produced a new arrangement of To Memphis for Petula's concert performances. The new arrangement was more soulful and bluesy and featured a fantastic guitar solo. Petula debuted the song during her concert at The Cliffs Pavillion in Southend on 07 March 2005. To Memphis has become a popular feature in Petula's concert repertoire. Together At Last was written by Petula Clark and Dee Shipman as a proposed duet for Petula and Michael McDonald. Composed in 1991, the song was intended to be recorded during sessions financed by Michael Jackson and produced by David Gest. The song was a commercial pop song with a catchy melody and lyric. A domestic demo recording was made of Together At Last and featured Petula double tracking herself. Sadly, Together At Last was never recorded by Petula and Michael although they did collaborate on the song When You Get Right Down To It. Together (Ensemble) was adapted by Petula from the Clark / Shipman song Ti Amo, written for J'Accuse ...! The Passions of Emile Zola. 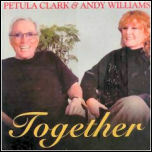 Together was originally intended as a duet for Petula and Rod McKuen for an album of Clark / McKuen collaborations. However, Petula choose to record the song with Andy Williams, who recorded his vocal parts for the song at his Moon River Theatre, Branson. 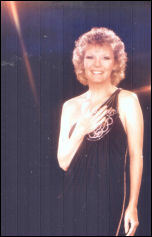 Petula recorded the piano track herself in Los Angeles and added her vocals in Geneva. Kenny Clayton travelled to Geneva to add extra synth to his arrangement to enhance the continental feel to the track. Soon after the song was mixed, Together was premiered on an English language radio station in Switzerland. The song was issued as a CD single by Petula's own publishing company Belle Tulipe Productions and was sold exclusively online and at the Moon River Theatre gift shop. During Petula's autumn season of concerts with Andy Williams, Petula and Andy Williams performed Together nightly. Petula performed Together with her special guest Michael Ball during her November 2006 concert at Theatre Royal Drury Lane broadcast by BBC Radio 2. Too Good To Be True was a song intended for the Soldiers to perform in Someone Like You. Despite Petula composing the structure of the song, it was never completed. 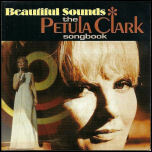 Petula originally recorded her themes on synth which were adapted and arranged by Kenny Clayton for the soundtrack recording. Tristesse was recorded with piano, cello and oboe parts. 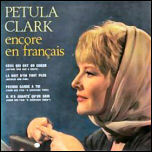 Highlights from Petula's score from Petain were included on the 2007 CD retrospective In Her Own Write. 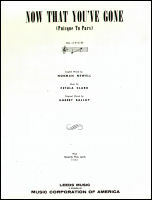 Highlights from Petula's score from Petain were included on the 2007 CD retrospective In Her Own Write. The various themes are held as part of the archive collection. Additionally, the docu-drama featuring Petula's score and incidental music is held on DVD as part of the archive collection. Georges Aber's French adaptation of the Clark composition While The Children Play. Recorded in 1967, the French version was included on the enormously successful Disques Vogue EP and album; C'est Ma Chanson. The French adaptation of Petula and Dee Shipman's composition You'll Sail In The Sun produced by Andre Di Cesare and Kenny Clayton. In 1989 Petula was commissioned by the Canadian society of research for Alzheimer's disease to contribute a song for a charity recording. Petula and Dee Shipman set about composing an evocative song for this emotional project. Kenny Clayton provided the arrangement for the new song and built upon Dee's profound lyrics. A set of demo recordings were first made in London of You'll Sail In The Sun with a slightly different arrangement. The song was fine tuned and the master recording was made in English and in French in Montreal. The tracks were issued on the Les Disques Star cassette album Je Me Souviens / I Remember (a collection of 15 tracks that included Petula's French and English language recordings of You'll Sail In The Sun and Tu Trouveras L'Horizon). A promotional single issued by Les Disques Star was also issued with Tu Trouveras L'Horizon featured on the A side and You'll Sail In The Sun as the B Side. b) be caring for someone who has it. We decided that the song should be from the point of view, the perceptual position, of one of these selflessly devoted caring partners and that's when the metaphor came to me "like a ship without an anchor" ... and two hours later we'd written it!" 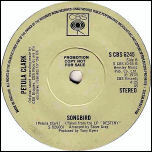 Petula originally recorded her themes on synth which were adapted and arranged by Kenny Clayton for the soundtrack recording. 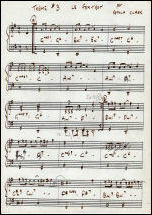 For the docu-drama, the uptempo fragment was performed at piano by Kenny Clayton. 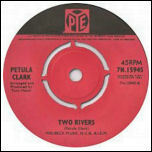 Arranged and produced for record by Tony Hatch Two Rivers is an autobiographical song that uses the Seine and Thames to reflect on Petula's own life. Two Rivers was recorded in 1965 and first featured as the flip to Round Every Corner. Two Rivers later appeared on the 1966 PYE album I Couldn't Live Without Your Love. In 1976 Two Rivers was issued in France, the UK and Spain by Vogue and Pye Records as the flip to Downtown '77. In 2002, Petula revived the song for inclusion in her concert repertoire for The Ultimate Tour. The song was performed by Petula accompanying herself at piano during the first shows in Liverpool and Woking. After these dates, Two Rivers was dropped from the tour. 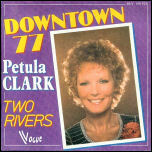 Two Rivers was also covered by New York cabaret singer Moira Danis on her album Beautiful Sounds - The Songs of Petula Clark. 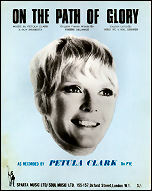 Petula originally recorded her themes on synth which were adapted and arranged by Kenny Clayton for the soundtrack recording. 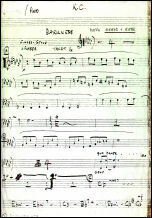 A fragment song composed by Petula intended for her autobiographical one woman show that premiered at the Theatre St. Denis, Montreal in 2000. 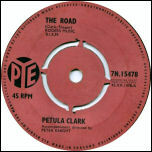 The song reflected on locations that played their own individual role in Petula's life and career. Petula's lyrics reflect on a fond reminiscence of spending time in the mining villages of Wales. 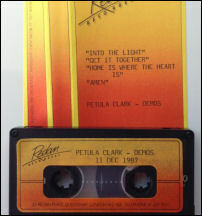 Petula and her musical director Kenny Clayton spent several writing sessions together, producing working tapes of these fragments for a proposed autobiographical show. The melody for the song is based on the traditional Welsh air and folk song David of the White Rock / Dafydd y Garreg Wen written in 1741 by David Owen, the famous harpist and composer who lived near Porthmadog in Caernarfonshire. The fragment song never made it into the one woman show. In 1979, Petula performed What Am I Doing Here? for the Anglo- American TV show Bonkers, backed by the Hudson Brothers. What Can One Person Do? 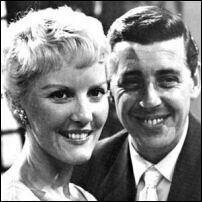 is a complex and powerful duet from the West End production of Someone Like You performed in act one between Abigail (Petula Clark and The Major (Dave Willetts). 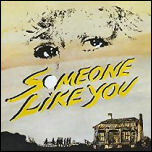 The song was one of the final pieces to be submitted for Harold Fielding's West End production of Someone Like You. No professional recording of What Can One Person Do? 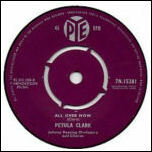 was recorded, however a domestic demo was recorded by Petula Clark and Dave Willetts. Recorded in late February 1990, the demo recording features piano accompaniment by Kenny Clayton. In the original book by Clark / Shipman, What You Got! was performed by Kane as the closing song of act one. When the production went on tour and into London, What You Got! was performed mid act one by Kane and the Soldiers. When You're Gone is a soulful ballad, recorded for the 1978 CBS album Destiny recorded in London -Read More. Tony Eyers' typical late seventies production featured Petula double tracking herself and spoken parts for the bridge that were repeated over the fade out. Where Did We Go Wrong was included on the My Love album. The song was also covered by the PYE group The Sands Of Time and also in the US by The Vogues. While The Children Play was featured on the 1967 album Colour My World. 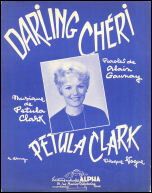 Petula's gentle melody with Hatch's clever production incorporated a children's chorus, which complemented Petula's touching vocal. While The Children Play was also included on the UK EP issued by PYE Here There And Everywhere (NEP 24286). 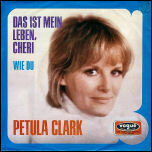 Wie Du, is the German language version of Petula's (as Al Grant) For Love. This version was recorded in 1970 during sessions in Paris, using the original 1967 Ernie Freeman backing track. Wie Du was featured as the flip to the German single Das Ist Mein Leben, Cheri (The Song Of My Life) issued in 1971 by Vogue Schallplatten (DV 11149). Without You is a revised version of the song Losing You, reworked for the West End production of Someone Like You and performed by the character Susannah (Jane Arden). 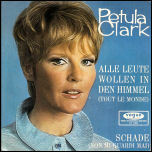 The World Song is a highlight from the final PYE album Petula '71. The rocky, energetic melody is coupled with a lyric that unites the world in a message of peace. PYE duly issued The World Song as a single and Petula memorably performed the song on the ITV show The Golden Shot (pictured right) broadcast in October 1971. So popular was Petula's appearance on the TV show, she returned for a repeat performance! World War II was written in 1998 for Petula's autobiographical concept show. Petula asked Dee Shipman to write a lyric that would incorporate the original radio broadcast of Mighty Like A Rose from 1942. With musical director Kenny Clayton, Petula composed a new song and counter melody that linked with this original recording. Dee's lyrics conveyed to the listener a world of conflict seen through the eyes of an impressionable child. World War II was performed at the Saint Denis Theatre, Montreal in October 2000. A French version was later written by Petula, entitled Prelude A Guerre, and performed at the Olympia Music Hall, Paris in September 2003. Wunderschon Wie Heut' is the German language version of the dramatic Clark power ballad Where Did We Go Wrong. The track was issued as the 'B' side to the 1966 German single So Wunderbar Verliebt Zu Sein (I Couldn't Live Without Your Love). 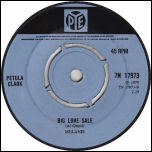 A contemporary sixties pop collaboration between Petula and Pierre Delanoe. 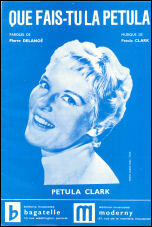 Petula, who wrote the music, regularly featured the song during her live shows across France and the continent throughout 1963. The song was released in 1963 and was included on the Vogue EP Plaza De Toros. In Spain, titled Hay Tantas Chicas En El Mundo, popular Spanish recording stars Jorge Teijon, Miguel Rios, Rocio Durcal, and Los Tharisman recorded and issued the song. In 1989 Petula was commissioned by the Canadian society of research for Alzheimer's disease to contribute a song for a charity recording. Petula and Dee Shipman set about composing an evocative song for this emotional project. Kenny Clayton provided the arrangement for the new song and built upon Dee's profound lyrics. A set of demo recordings were first made in London of You'll Sail In The Sun with a slightly different arrangement. The song was fine tuned and the master recording was made in English and in French in Montreal. The tracks were issued on the Les Disques Star cassette album Je Me Souviens / I Remember (a collection of 15 tracks that included Petula's French and English language recordings of You'll Sail In The Sun and Tu Trouveras L'Horizon). A promotional single issued by Les Disques Star was also issued with Tu Trouveras L'Horizon featured on the A side and You'll Sail In The Sun as the B Side. 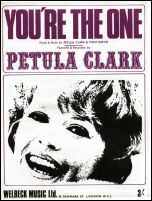 Young 'Un was written during the first sessions for the Petula Clark / Dee Shipman musical concept that became Someone Like You. 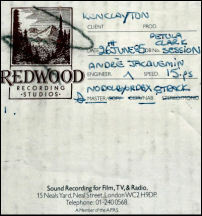 Petula recorded a demo of the song on 27 June 1985 as Young 'Uns at Redwood Studios, London - Read More. For the demo recording Petula recorded the first take in her usual key but abandoned this version half way through the take. Petula recorded two more takes of Young 'Un both in a lower key to reflect the style of the character Serena.. For the demo recording Petula recorded the first take in her usual key but abandoned this version half way through the take. Petula recorded two more takes of Young 'Un both in a lower key to reflect the style of the character Serena. For the next set of demo sessions at Snake Ranch Studios, Petula wanted a more soulful singer to perform the song and the internationally known jazz and Broadway performer and former member of The 5th Dimension Marjorie Barnes was commissioned to record the track. Barnes had already worked with lyricist Dee Shipman and performed her song Solitaire on the jazz album Black Birds. Marjorie continued to record the part of Serena on all the future demo recordings for Someone Like You. In the original Clark / Shipman book and in the touring and London production, the song is performed by Serena in act two. In 2011, US cabaret performer Maxine Linehan recorded You're My Destiny for her album What Would Petula Do? Maxine Linehan's album and show What Would Petula Do? 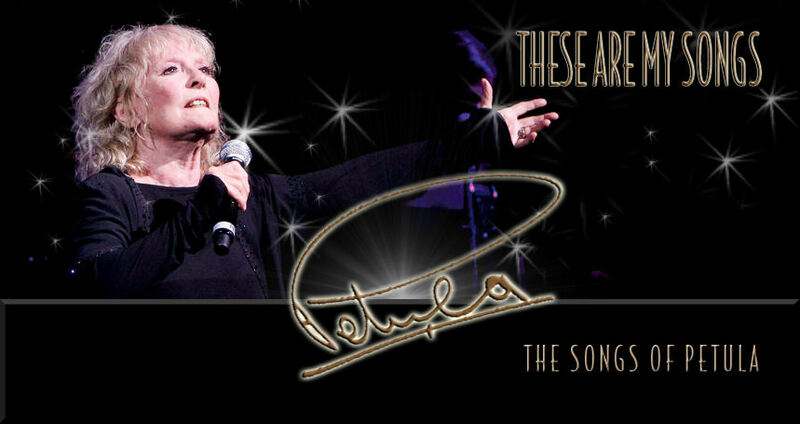 is a show and album that exuberantly follows the course of Petula Clark's career from her early, popular recordings in the 1940s, through her mega-stardom in the 1960s, to her award-winning performances in film and on Broadway right up to the 1990s. 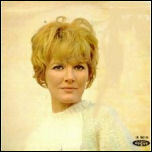 In 1986, Petula re-recorded You're The One for the Jango album Give It A Try. 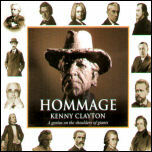 The new arrangement by Kenny Clayton had a distinct country feel and much slower in tempo. In 2006, Kenny Clayton provided a new arrangement of You're The One to emulate Tony Hatch's original version for Petula's live US concert performances. More recently You're The One was performed as a lively duet by Petula with Michael Ball during her Drury Lane concert in November 2006 recorded for BBC Radio 2. 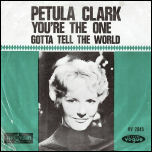 You're The One was also covered by New York cabaret singer Moira Danis in her show and on her album Beautiful Sounds - The Songs of Petula Clark. 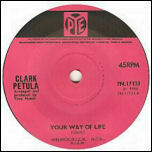 Your Way Of Life was composed (words and music) by Petula in 1966. The song was featured as the flip to the popular hit single I Couldn't Live Without Your Love, released in June 1966.